Another Ant doing his best Shrek II impression. I am an Ogre, Arrgh!! 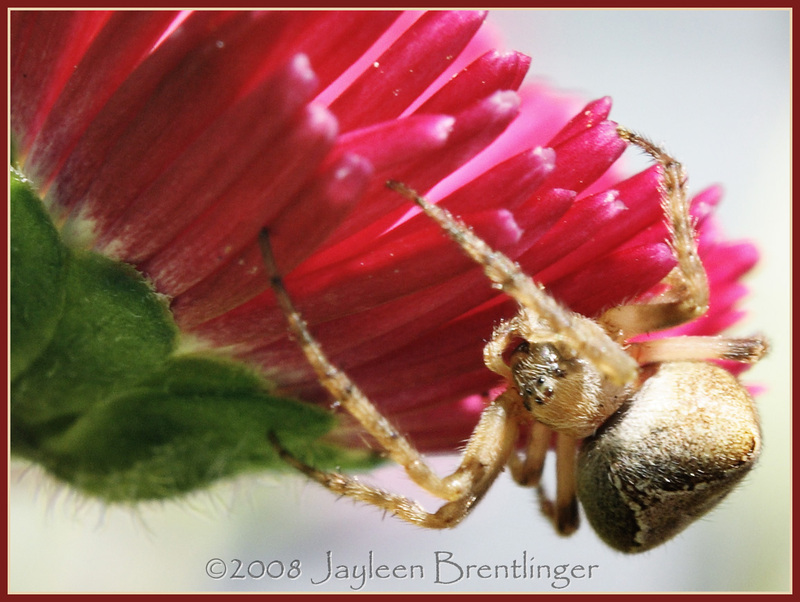 Spider on an English Daisy. Bugs like these little flowers. 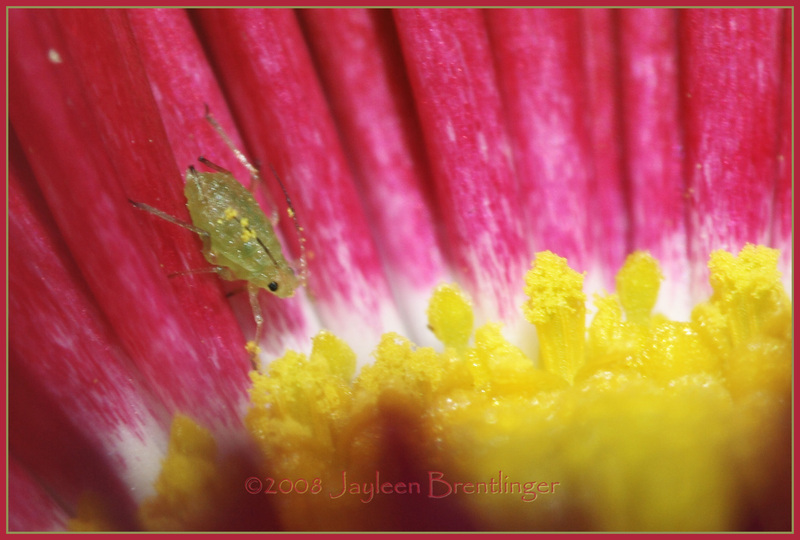 ~ by Jayleen on September 10, 2008. Wow is really all I can say about these beautiful pictures!! What type of camera do you use? 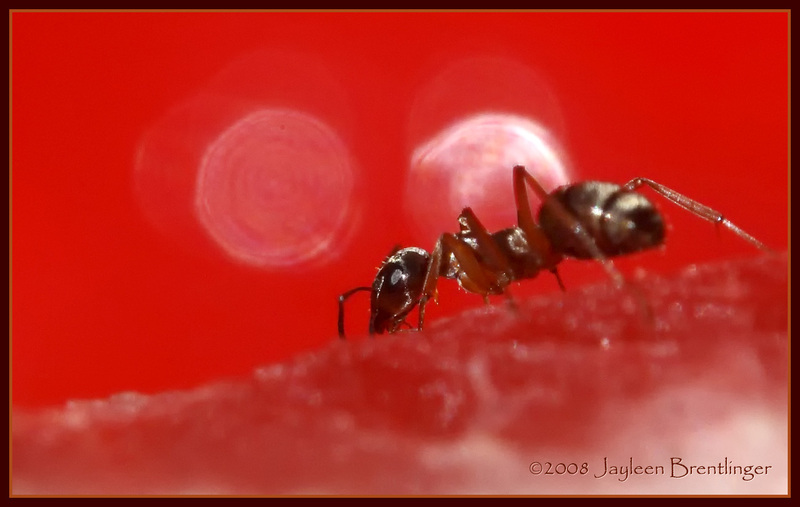 Did you attach an additional Macro lens? How did you manage to keep these bugs still long enough to take such an INCREDIBLE shot??!! Please feel free to swing by my photography blog and give directives and comments; they are always hugely appreciated!! In all these I’m shooting with a Canon Digital Rebel xti 10.1 MP with a 18-300 zoom and a Raynox dcr250 macro attachment. 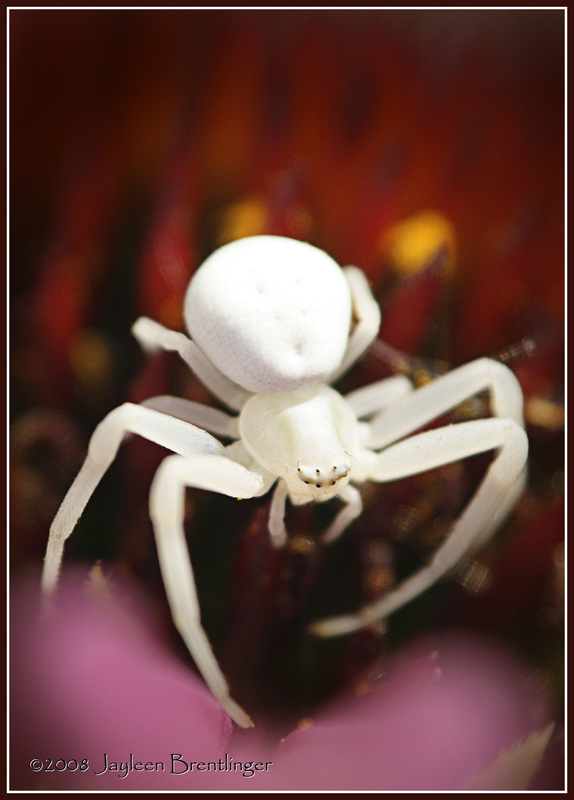 The spiders are shot at ISO 100, but the ants I had to go 800 and 1600 on to get the shutter speed I needed. 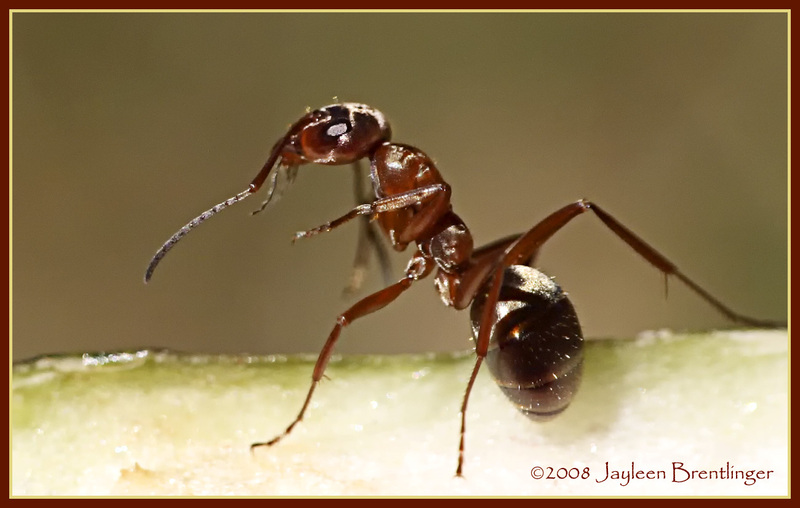 Even when the ants are seemingly still while eating the melon, they are still moving their heads, legs and their antennae quite quickly. The rest is experience, a steady hand and patience! 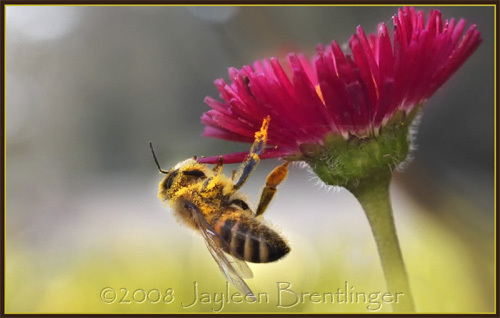 When you are zoomed and using the Raynox, you are shooting with an extremely shallow depth of field. I try to use that to my advantage to get the nice blurred background, but you have to be spot on in your focus. Any wiggling and forget it. Most of my shots are hand held simply because chasing insects isn’t the stuff of tripods. The new cameras have built in stabilization to prevent the effects of camera shake. Mine does not have that. 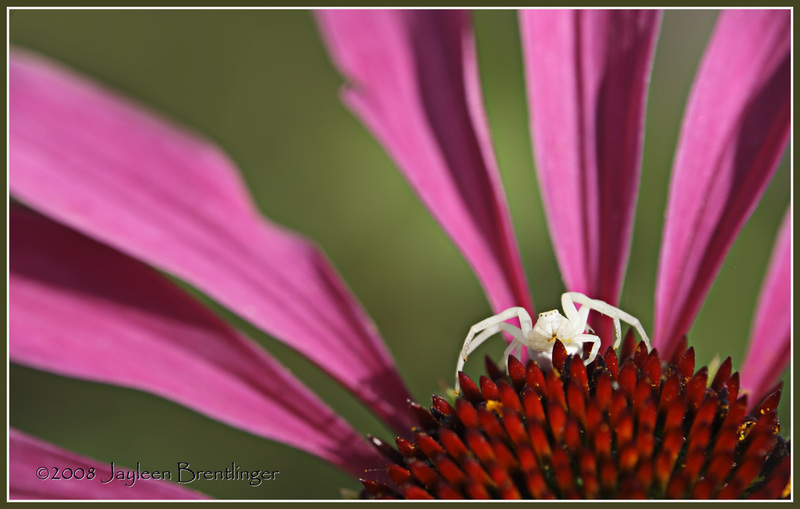 Wow, the white spider on echinacea is particularly beautiful! Such a wonderful contrast.